Product prices and availability are accurate as of 2019-04-21 04:22:05 UTC and are subject to change. Any price and availability information displayed on http://www.amazon.com/ at the time of purchase will apply to the purchase of this product. You are looking at a metal mailbox topper sign with a Bulldog silhouette on it. 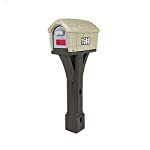 Made from 16 gauge steel and powder coated for a strong, durable finish. 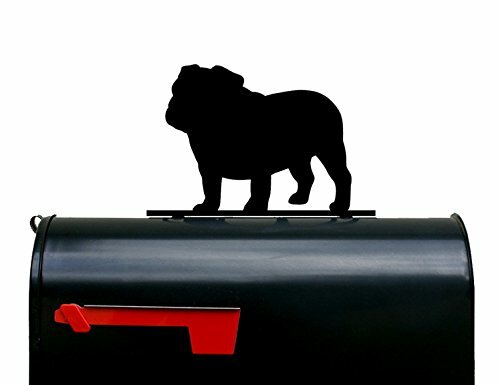 The Bulldog measures approximately 9 1/4 in wide x 7 1/2 in tall, while the base measures 11 1/2 in by 3/4 in. It has two 3/16 in holes drilled into the base for mounting. Hardware and mounting instructions included. USPS Priority Mail Shipping. Feel free to message with any questions you might have.